I’ve had a fascination with infrared (IR) photography for several years, but lurked from a safe distance. 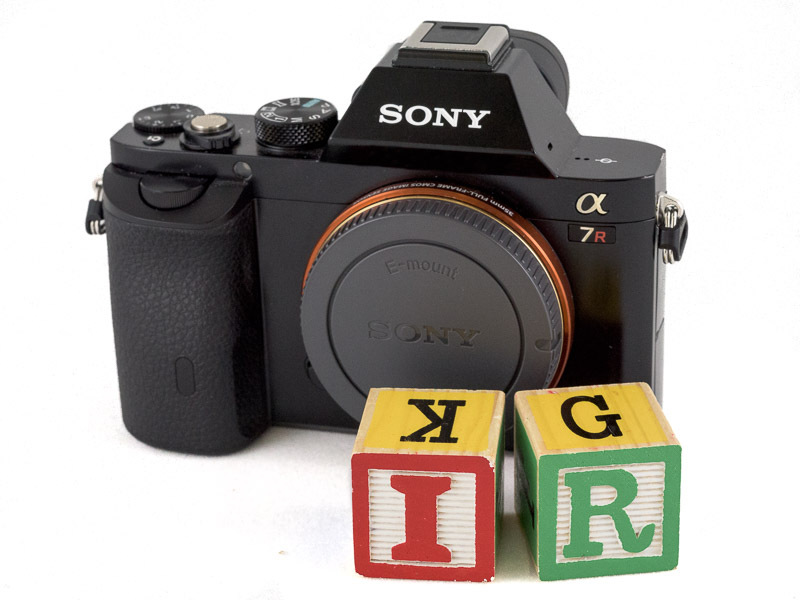 I finally took the plunge last year and had a Sony a7R camera body converted to IR. Like most of my adventures, this has been a learn-by-doing experiment, aided by online guides and tutorials. This article is a summary of my experience to date, with tips, workflow, and links to resources that might help prospective IR photographers. This is not a comprehensive tutorial, product review or user’s guide. 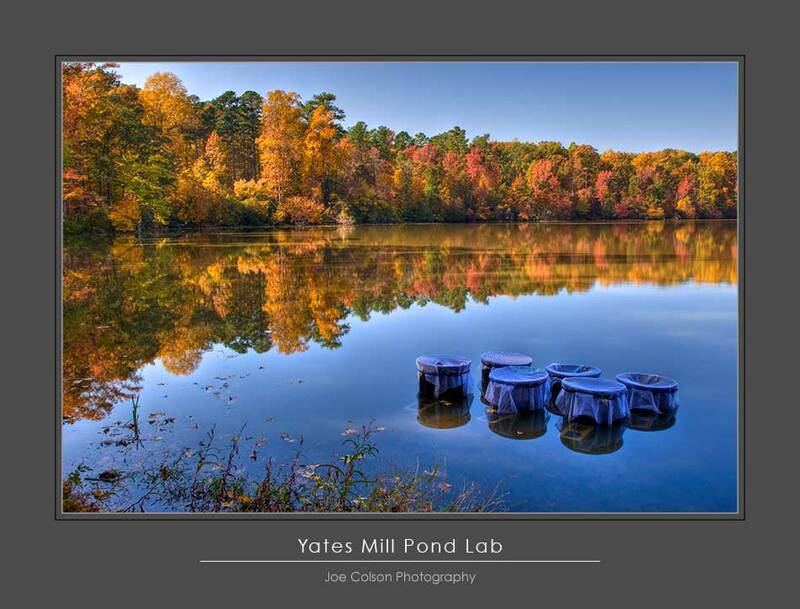 One of my photographs won a second place award in the Historic Yates Mill County Park 2015 “Mill As Muse” Photography Contest. Yates Mill is a fully restored grist mill located in Raleigh, NC. The mill and park have been open to the public since May 2006, and are picturesque throughout the year. 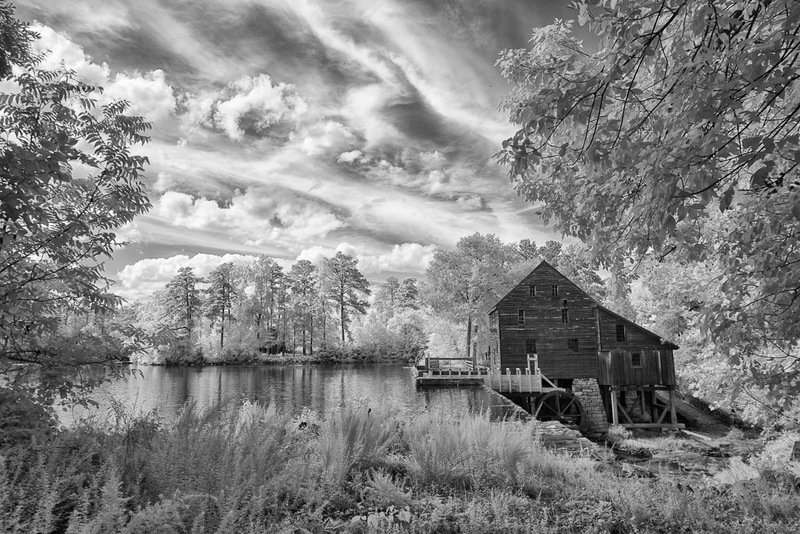 My winning photograph, entered in “Photography – Historic Yates Mill – Adult” category, was taken in July 2014, using a Sony a7R camera that had been converted to infrared. The contest culminated with a reception and photography exhibit on February 15. All of the winning entries are currently on display in the Visitors Center at the mill. 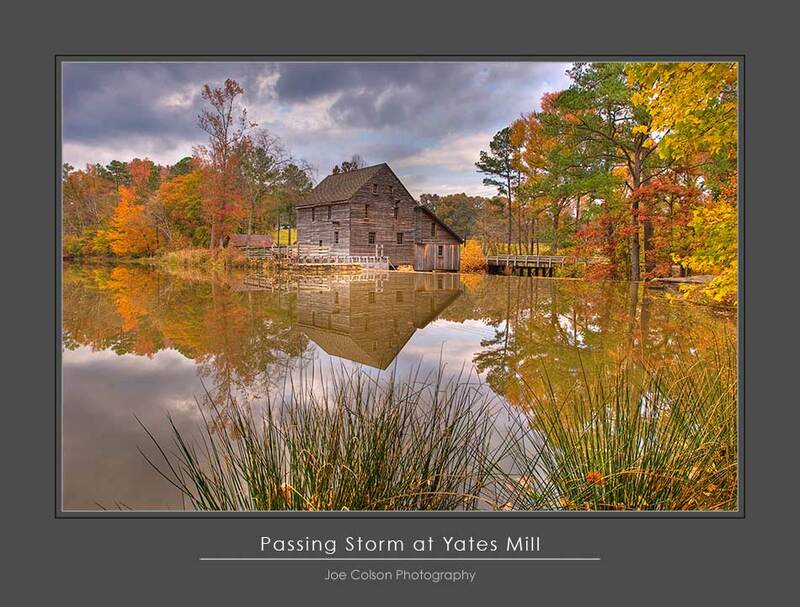 Two of my photos won second place awards in the Historic Yates Mill County Park “Mill As Muse” Photography Contest. Yates Mill is a fully restored grist mill located in Raleigh, NC. The mill and park area that surrounds the mill have been open to the public since May 2006, and are picturesque throughout the year. My photographs were taken in late 2007, at the peak of fall color, and were entered in the two contest categories – “The Mill” and “The Park”. The contest culminated with a reception and photography exhibit on February 15, with all of the entered photographs on display. If you have an opportunity to visit Yates Mill, I highly recommend it for both adults and kids.